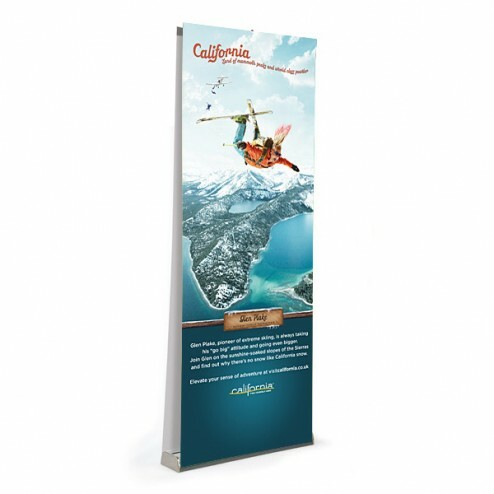 Showcase your print graphic displays with added confidence when you select our Sidewinder banner system. 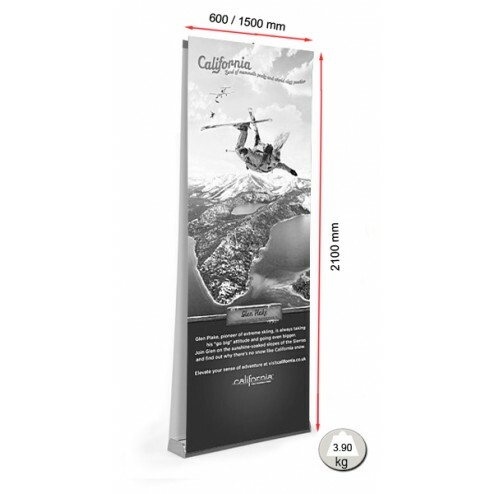 Ideal to install when you visit trade shows, conferences and exhibitions, this popular stand features a concealed housing unit enabling a unique floor to ceiling graphic presentation for you. 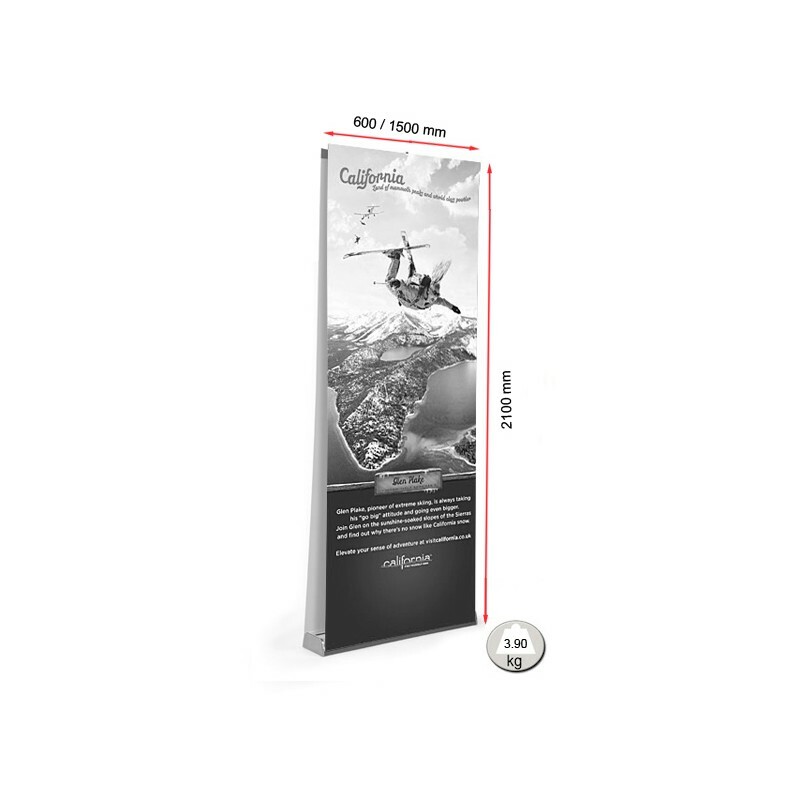 Five handy stand width sizes are available to purchase, so you can choose the correct display size for your promotional needs. 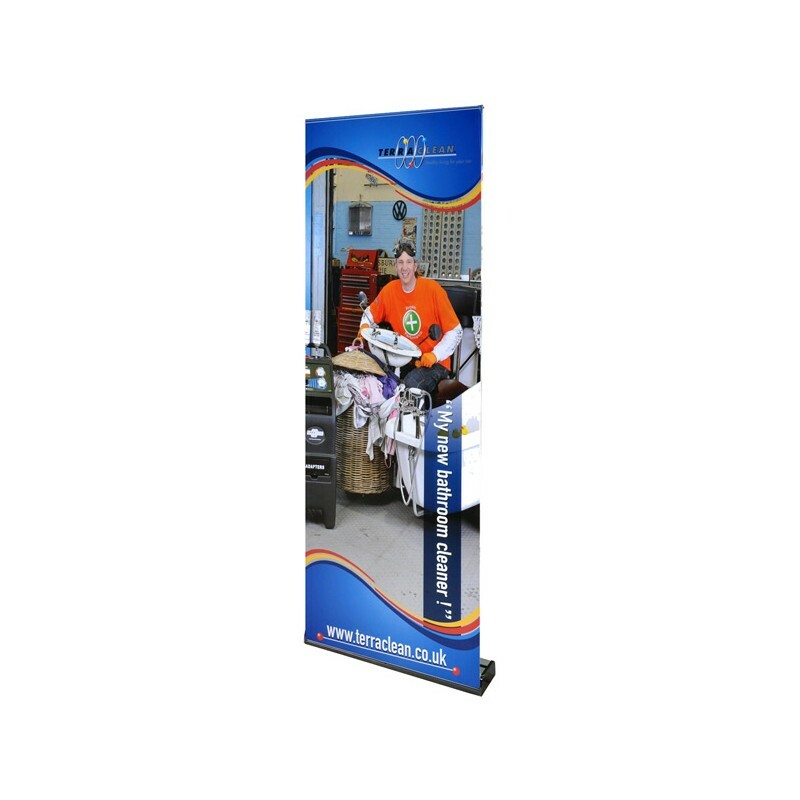 This affordable banner stand model also enables single or double sided graphics display, ensuring twice the marketing impact for your business or brand message. 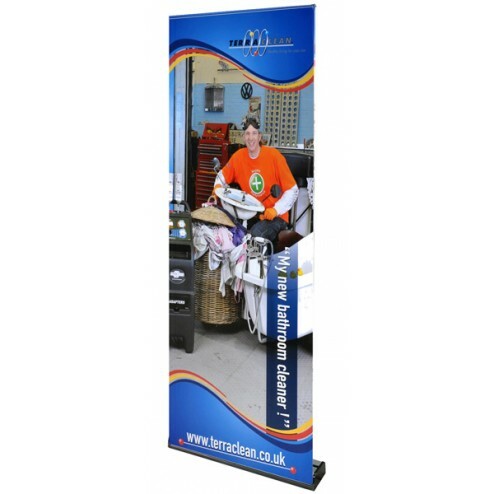 Constructed from sleek anodised aluminium with a concealed pole set, this banner stand is simple to install and transport to and from venues, and is great for hectic roadshow days when you need dependable equipment. 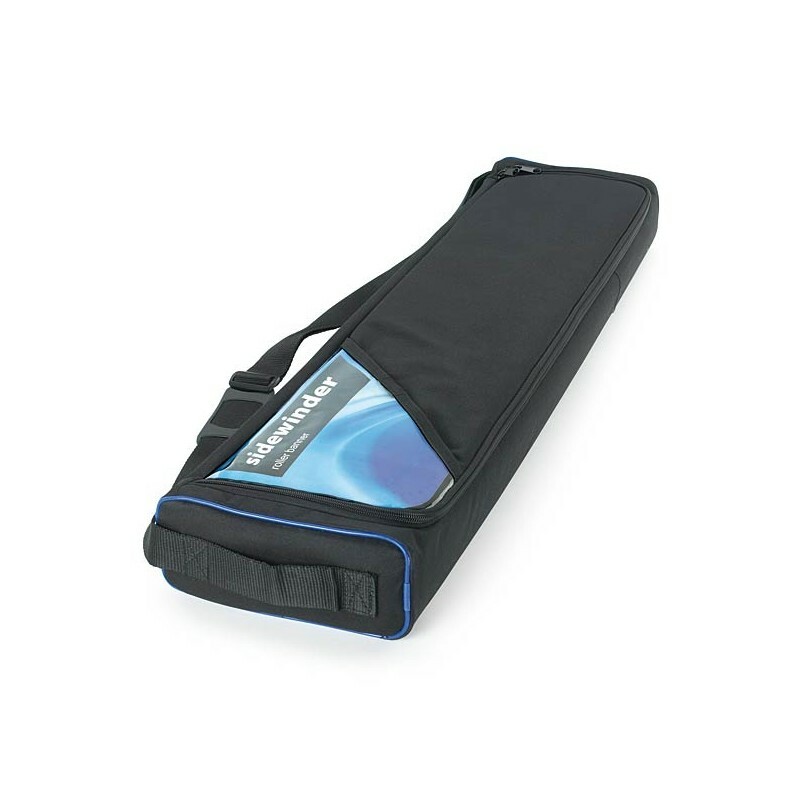 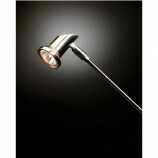 A padded transportation bag is also provided, giving you extra reassurance while this product is in transit. 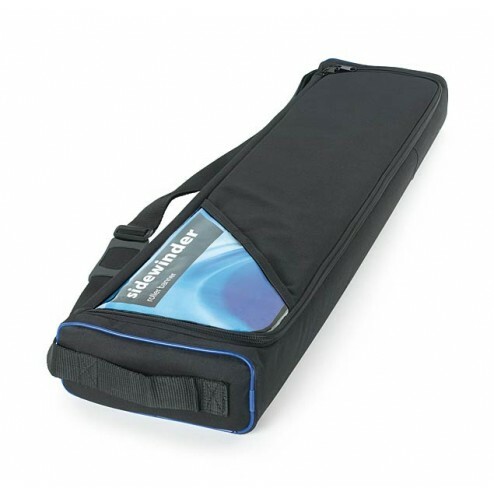 What’s more, it’s good to know the graphic panel is recyclable after use, so it’s environmentally friendly too. 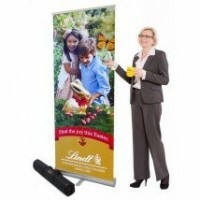 Choose this banner system for enhanced marketing that won’t cost the earth. 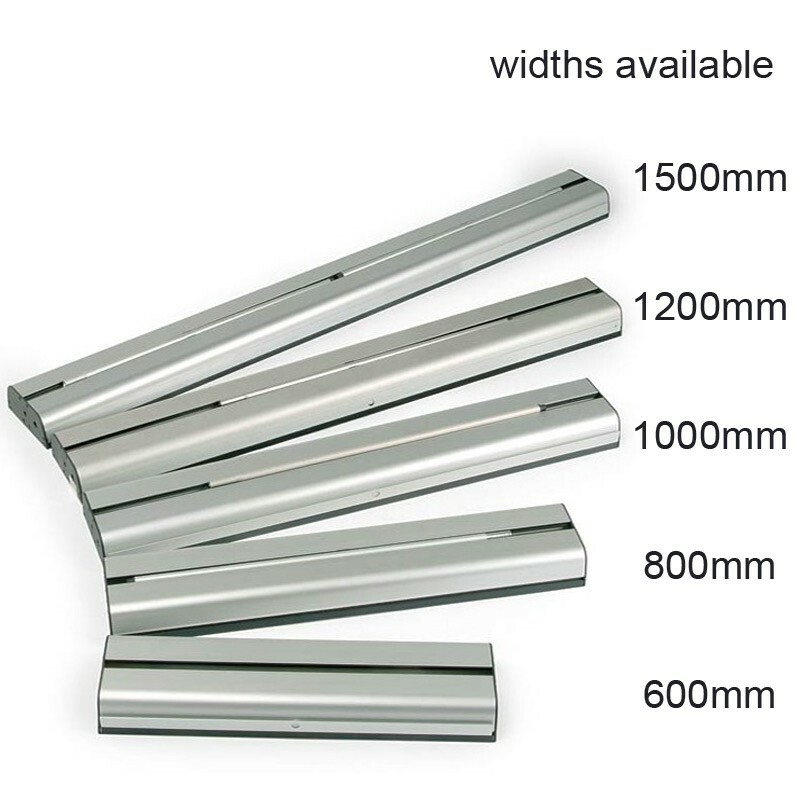 No problem, we can design a stand for you. Provide an idea of colours, fonts and the copy you want to use and we will design an eye-catching deluxe banner stand for you from just £19.00. 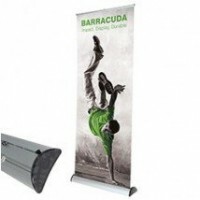 Click on the banner design service above to find out more. 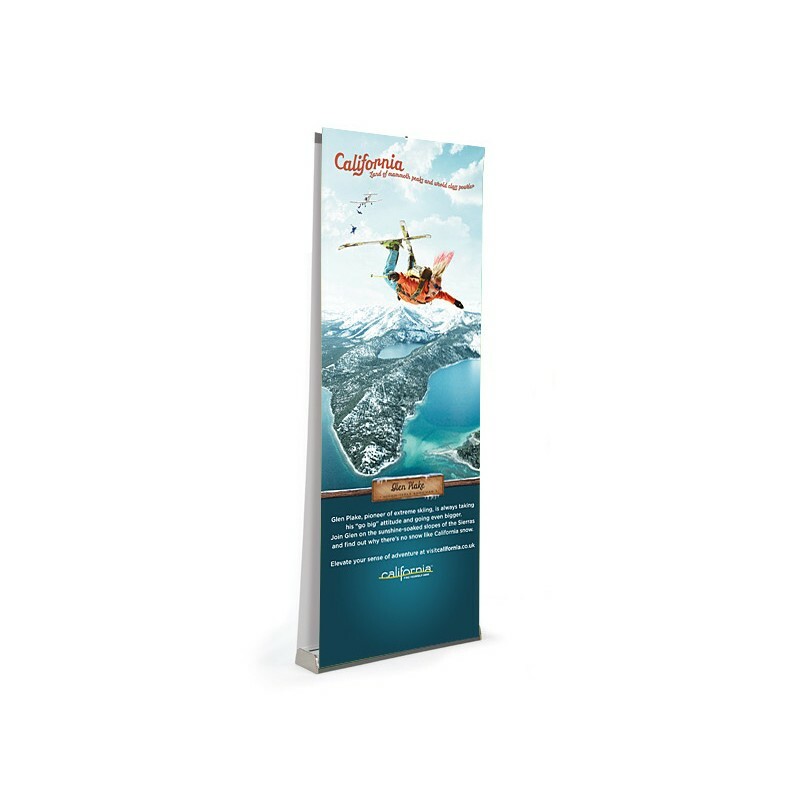 Once you approved the banner stand design it will be printed at 1400 dpi using vibrant HP inks onto a special Banner stand material then over laminated to protect your investment from scratches and spills.